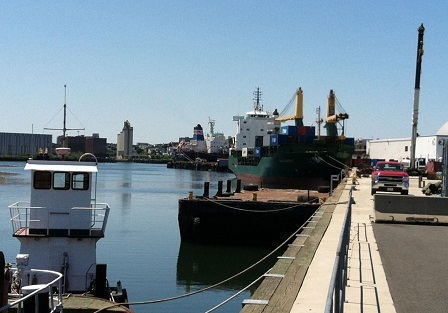 The SPS Marine Division operates out of a high-quality marine terminal on the Island End River in Everett, MA off the Mystic River, with a deep water port linking directly to Boston Harbor. 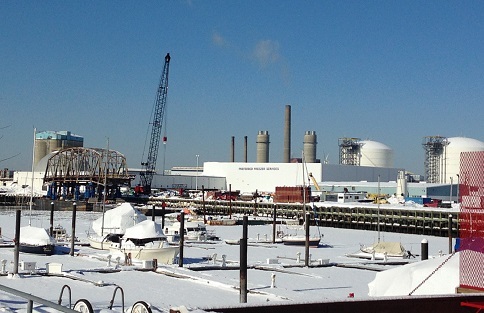 The terminal includes a newly-constructed modern bulkhead, 700 linear feet of wharf, and access to a rail spur, making it a truly unique facility with numerous options for moving heavy cargo by water, rail or highway in and around Boston and the New England region. 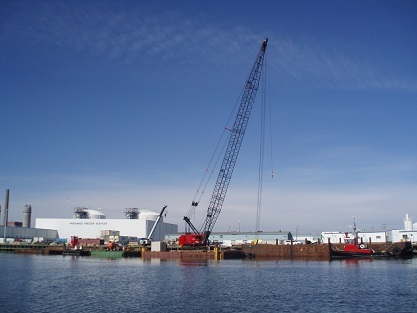 SPS has the ability to load or unload cargo with hoisting capability up to 200 tons with its own Manitowoc 4100W lattice boom crane located on-site at the facility. 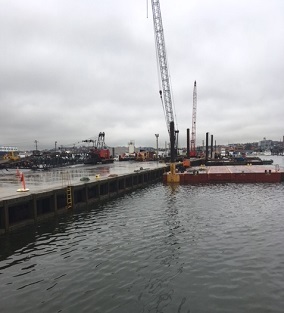 Overview: The SPS Marine Division operates out of a high-quality marine terminal on the Island End River in Everett, MA off the Mystic River, with a deep water port linking directly to Boston Harbor. The terminal includes a newly-constructed modern bulkhead, 700 linear feet of wharf, and access to a rail spur, making it a truly unique facility with numerous options for moving heavy cargo by water, rail or highway in and around Boston and the New England region.